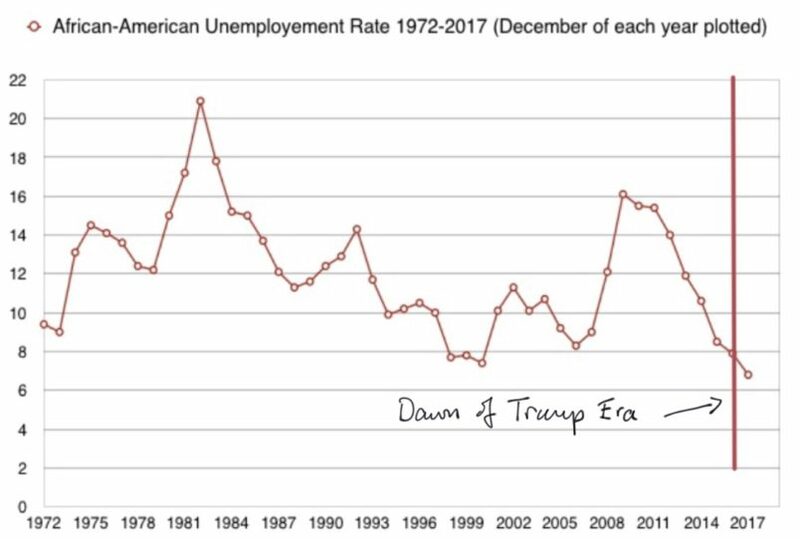 President Trump has been out bragging that “because of my policies” the African-American unemployment rate has dropped to its lowest level ever. This appears to be technically true. But I thought it made sense to give some context for the nonsensical nature of this claim. As you can see, the idea that this is “because of my policies” is a bit hard to square with the actual data.